Conversion of Word documents to TXT is a common practice. Therefore, software industry has produces quite a handful of file conversion utilities capable of making Word files into TXT files and other formats. However, very few programs are powerful enough to convert files in batches keeping th eoriginal layout. 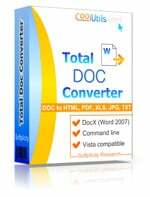 In this article we are going to discuss a Word TXT converter, called Total DOC Converter, which is one of the most advanced and one of the cheapest converters available. The Total Word to TXT Converter was designed to help you translate and export information from a Word into the TXT format. Using our easy to understand converter wizard, you select Word file(s), choose your options, indicate whether it’s a single file or batch operation, and the Total Word to TXT Converter does the rest saving you both time and money. Have we mentioned yet that our converter also lets you access the command line directly? Here at CoolUtils, we design tools that give you total control over your documents. Check out some of the other formats that our Total Doc Converter can export your Word files into: RTF, XLS, JPEG, TIFF, HTML, XHTML, and PDF. There are times when life in the digital age may seem complicated, but it doesn’t need to be. The Total Doc Converter can help you create a simpler, faster computing experience by automating Word conversion tasks that would otherwise require you to painstakingly point, click, and wait over and over again. Thanks to robust user interface, this converter is very easy to operate. Both savvies and novice users can handle it without having to pass through a lot of training. Just looking at the screen is quite enough to figure out how this tool should be handled. 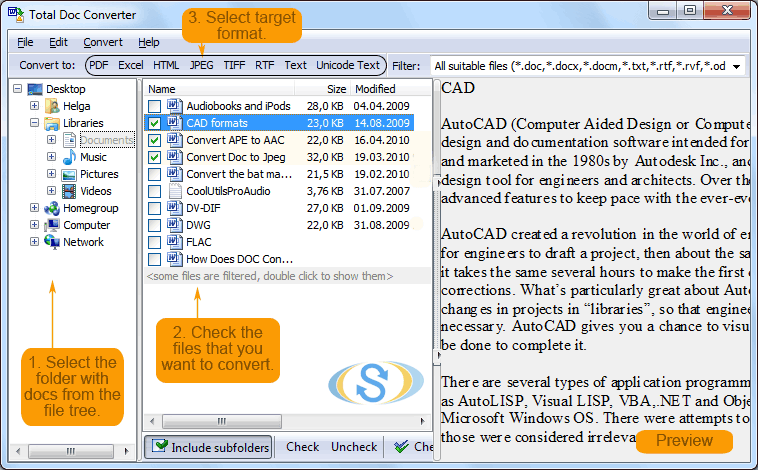 What makes a good program really popular is its simplicity, and this batch TXT converter is no exception. When you launch the interface, you can see what you should do next. In the folder tree, you should click on the folder, which contains Word documents. When you do that, all Word files will appear in the middle pane. They will be arranged in a list, and each Word file will be supplied with a checkbox. Now you should tick the documents, which you want to convert to TXT. Because we are talking about batch conversion, we should tick all the files. Press the "Check all" button below. When you do that, all the files will be ticked. Choose "Text" in the target format toolbar. The wizard will help you finish the work. 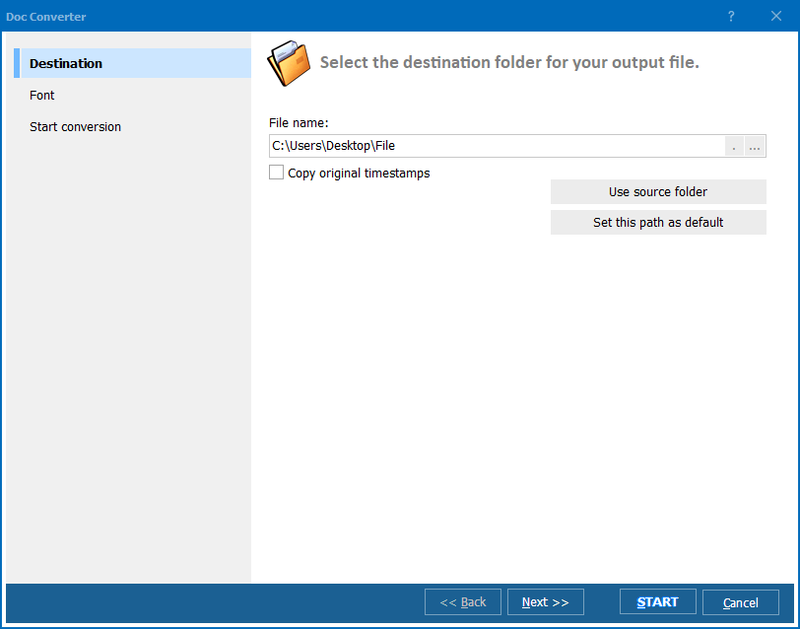 Here you should choose destination folder and paper preferences. 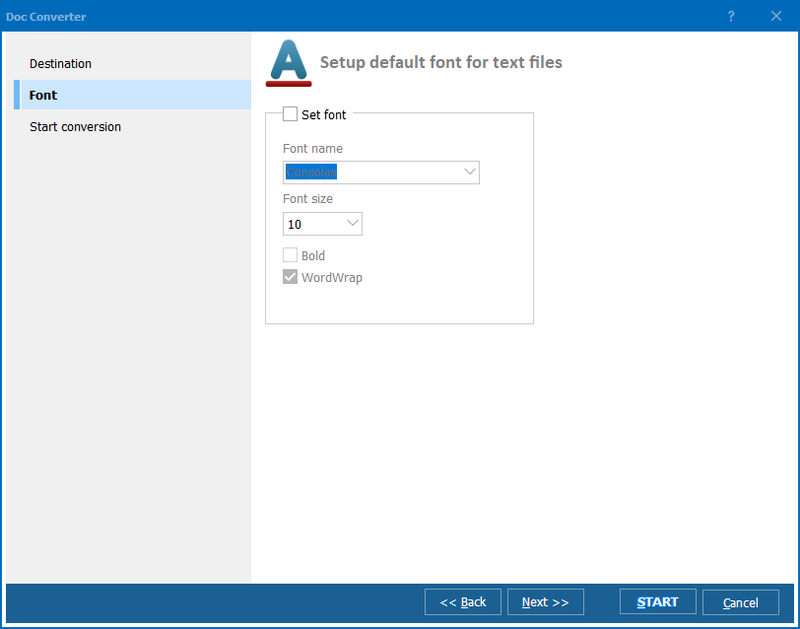 The latter option offers you to choose whether you want to place the sheet in a horizontal or vertical position in your TXT files. Also, there is an option allowing you to save every page of your documents as a separate file. To do that, check the option. Last comes the option, which allows you to adjust text by width. Click "Start!" to convert and wait. The whole batch will be converted in a few minutes. 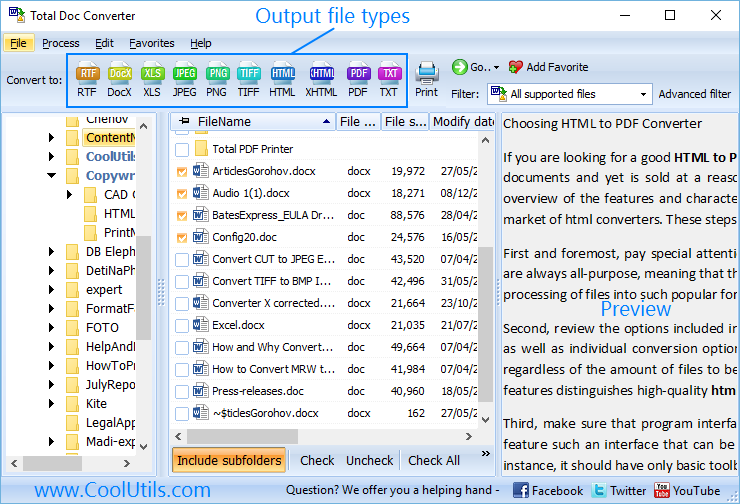 If you are not sure this converter is really worth the price, check the demo version. Convert Doc to TXT in batches.